Join us every week for MUSCLE PUMP! Strengthen your muscles, bones, and joints as well as improve your posture and general health. 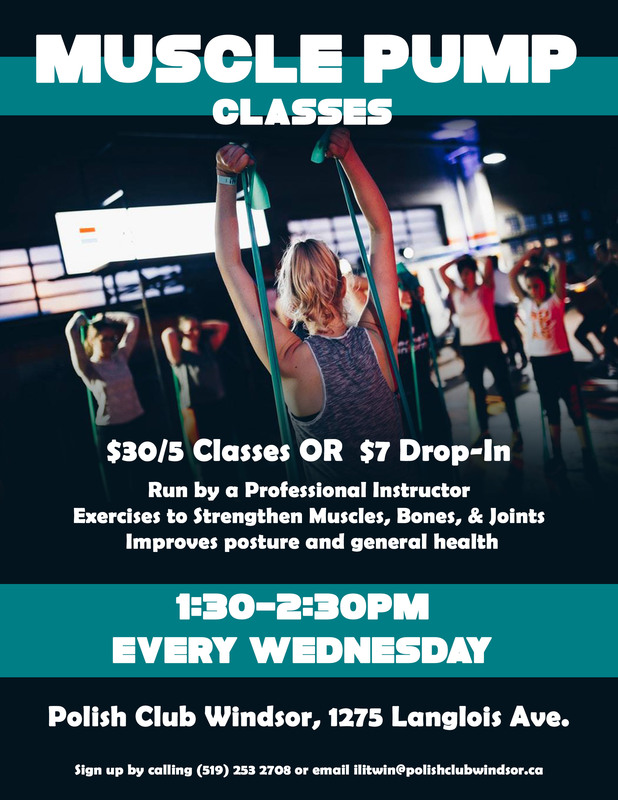 Classes are run by a professional instructor and include exercises on chairs or standing, with or without light weights. Over time, balls, and elastic bands will be introduced. Please bring your own small weights (or filled water bottles) and mat.